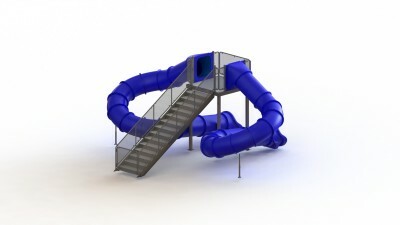 Spectrum Aquatics’ Double Flume Pool Slide is designed for recreational aquatics centers and community swimming pools. 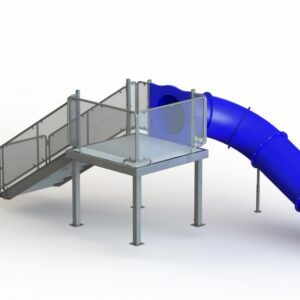 The slide structure is made entirely of stainless steel for corrosion resistance and visual appeal with a heavy duty root-molded flume. 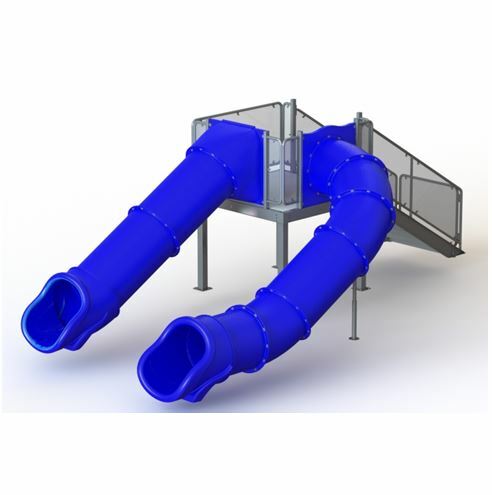 The rotationally molded flumes are available in a wide selection of colors, with a unique line that features a high recycled material content and may allow for certain government incentives or local initiatives. The large deck and stairs feature a non-slip walking surface and are surrounded by clear UV-protected polycarbonate panels for enhanced visibility. 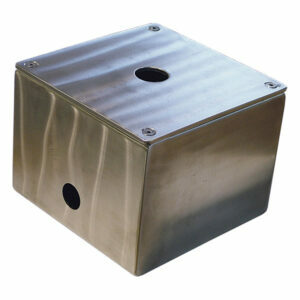 As an additional safety feature, the stairs feature a self-closing gate to deter unauthorized use. Spectrum Aquatics’ wide variety of flume and stair configurations makes the slide line compatible with a variety of deck styles. Designed to comply with 16 C.F.R. 1207 in the U.S. Consumer Product Safety Commission’s Safety Standard for Swimming Pool Slides Deck Size: 6’L x 6’W x 4’8″H.